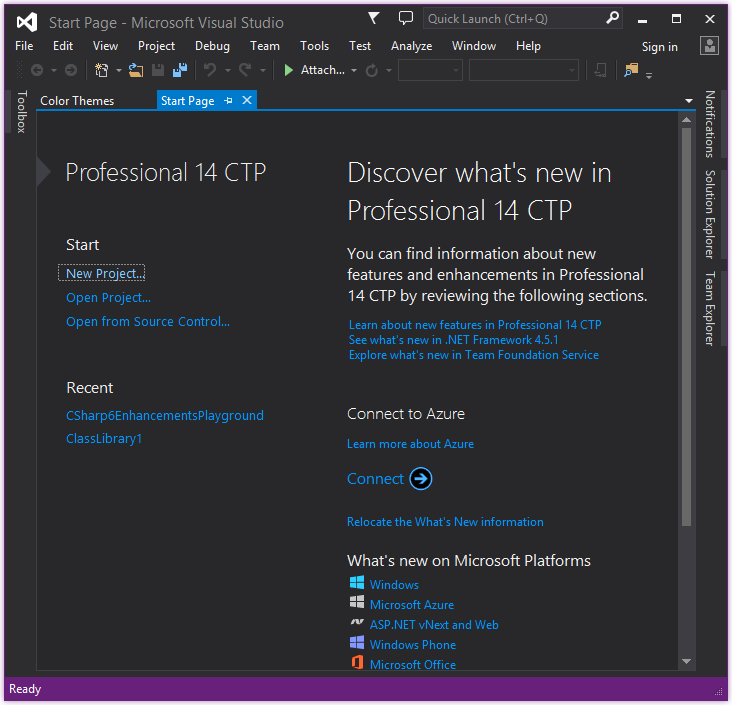 I’ve been playing around with VS “14” and the new C# 6 features, but the default theme is burning my eyes out. You can get around this by modifying the manifest file. 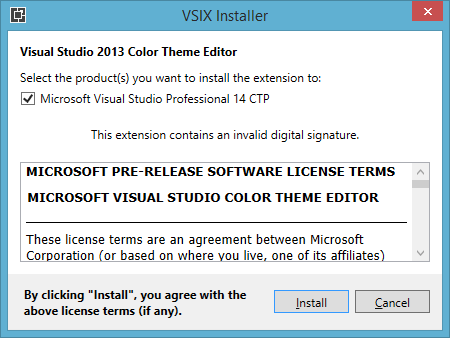 Open “ColorThemeEditor.vsix” using a program like 7-Zip (the file is just a zip file). Extract the “extension.vsixmanifest” file and open it in a text editor (Notepad is fine). [ – minimum version inclusive.
] – maximum version inclusive. ( – minimum version exclusive.
) – maximum version exclusive. 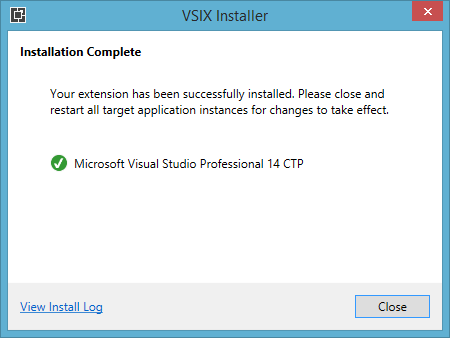 Single version # – minimum supported version with unbounded max. 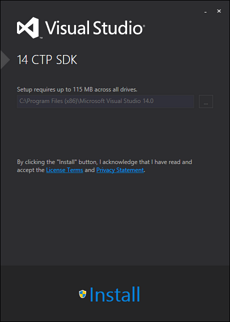 Technically, I’d think you’d be able to keep just 12.0 as the version number (last bullet point above), but that didn’t work. 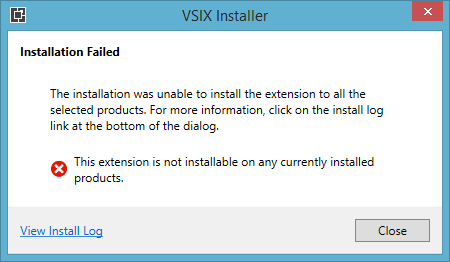 Save the file, put it back in the “vsix” file, and that may be enough to allow you to install it. 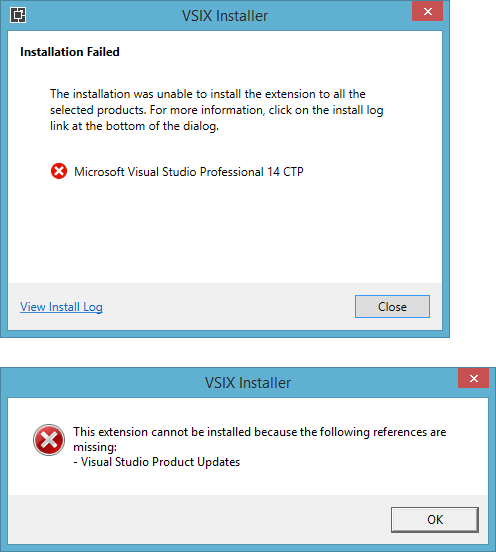 To get around that error, I installed the VS “14” CTP SDK.